He also revealed plans to expand into neighbouring Balkan countries and possibly the Middle East and invest in opening seven new 3D screens by the end of this year. Kontominas acquired Village Roadshow’s Greek cinema, film distribution and production business for $75m (€50m) from its Australian parent company at the start of this month. He has also acquired the right to continue using the Village brand. Village has 70 screens in seven multiplexes across the county and also owns a number of entertainment complexes such as Village World in Athens. Kontominas will retain the company’s exclusive distribution agreement for the Warner and Village Roadshow productions and will also continue to work with New Line Cinema, Relativity, Mandate, Essential, IM Global QED. Village Films distributes around 50 films a year and is also active in home entertainment and the production of Greek films. In the past, Village has backed major local hits including Tasos Boulmetis’ Touch of Spice and Repas/Papathanasiou’s Crying…Sylikon Tears. 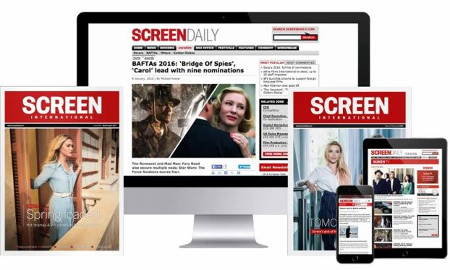 Speaking to ScreenDaily, Kontominas said Village Roadshow sold its Greek assets to concentrate film production, but local industry sources claim that the Greek exhibition market has reached saturation and Village saw no further potential in the market. Village Roadshow, which also has interests in theme parks and broadcasting, launched into the Greek market in 1996 and was the first company to introduce a multi-screen cinema in the country. It boosted admissions from 13 million annually from just 7 million back in late nineties. The company will use the cash, along with new debt, to fund a $78.4m (€48m) share buyback plan following a failed privatisation bid. Kontominas also owns media company Demco Group, which owns the influential private TV channel, Alpha. The future of Village Roadshow's international exhibition arm looks uncertain following the surprise decision of chairman and co-chief executive officer John Crawford to leave the company. Village Roadshow managing director Graham Burke has told the Sydney Morning Herald (SMH) that Village Roadshow Ltd's (VRL) net loss is A$3.8m from a financial scam that saw nearly A$30m wrongly removed from company accounts in 1998 and 1999. While the comedy thriller Bad Eggs does not have a particularly large budget in terms of the norm in Australia, it has attracted the single biggest financial commitment to an independent feature in entertainment conglomerate Village Roadshow's long history.